In the Seychelles’ only cannery, the din of thousands of empty tuna cans rattling on narrow metal troughs is incredible as they bustle along, soon to be filled with Skipjack tuna that only days ago were swimming freely in the inky blue Indian Ocean. At one end of the Indian Ocean Tuna Limited processing plant – the world’s second largest – cranes offload nets full of frozen tuna from huge international fishing boats called purse seiners while at the other end of the plant, 5,000 cans of tuna roll off the line every minute. That’s a lot of tuna – roughly 400 metric tonnes a day. Can the Indian Ocean tuna bounty, which amounts to more than 20 percent of the world’s tuna, be sustained? That was the key question at the first-ever Seychelles Tuna Conference that ended last weekend. It brought together nearly 200 scientists, fishers, environmentalists and policy makers here in Victoria, Africa’s smallest capital city, located 1,800 km east of Somalia and practically in the middle of the Indian Ocean. “The boats are much more efficient today and the tuna stocks are declining and there is much less tuna than before, ” said Alain Fonteneau, a scientist with the L’Institut de recherche pour le développement, in Montpellier, France, who opened the conference. The major question here, Fonteneau says, is will Indian Ocean tuna stocks be overfished as they are in most of the world? The Indian Ocean has a regional tuna fisheries management organisation (RFMO) to prevent overfishing and to sustainably manage the tuna stocks. In an RFMO, representatives from governments in the region and those involved in the fisheries make decisions about how much tuna can be caught based on the advice of their scientific advisory panels. At least, that’s how it is supposed to work. Environmentalists complain that within the Indian Ocean Tuna Commission and the four RFMOs in the other major tuna regions of the world, science is largely ignored while greed, politics and short-term thinking prevails. “You’d think with all the investment in these RFMOs around the world to take care of these tunas on the high seas, we’d have healthy tuna stocks,” said William Fox, vice president and managing director for fisheries at the World Wildlife Fund-U.S.
Fox went down the list. Bluefin tuna – much prized by sushi lovers – are in such bad shape they are expected to be declared an endangered species at the annual Convention on International Trade in Endangered Species (CITIES) meeting in March. Bigeye, yellowfin and albacore are overfished in most fisheries, Fox said. 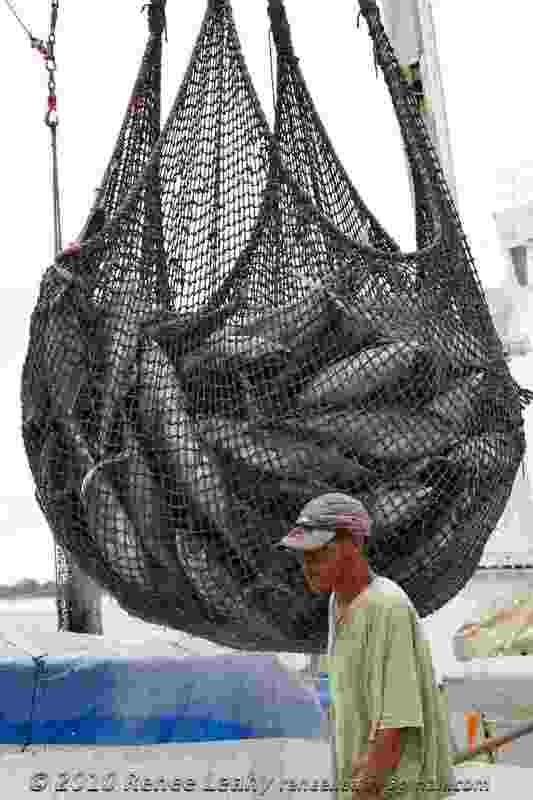 Only the fecund and fast-growing skipjack tuna is doing okay and makes up the majority of canned tuna. “Governments are failing based on the current status of stocks…The tuna industry needs to ensure its survival by taking the lead and be the force behind sustainability,” Fox concluded. And so one year ago, eight of the biggest tuna buyers and the WWF formed a powerful alliance, the International Seafood Sustainability Foundation (ISSF). Participating companies refused to purchase bigeye tuna from the Eastern Pacific fishery because the RFMO there had continually refused to follow the conservation advice of its scientific advisory panel, Susan Jackson, ISSF’s president, told participants. The threatened boycott worked, and conservation plans were put in place in the eastern Pacific. Now it’s the Indian Ocean Tuna Commission’s (IOTC) turn. “Consider the lost livelihoods and broken economy with the northern cod collapse and the debacle with bluefin. The Indian Ocean could learn what’s gone wrong without the pain of learning the hard way,” said Jackson, a former vice president of Del Monte Foods. “The eyes of the world are on you (IOTC),” she said in direct reference to an upcoming meeting this March where important but long-ignored conservation decisions need to be made. Various participants at the Seychelles meeting told IPS that the IOTC, comprising 28 member states including the local African countries, the European Union, France, Spain, Iran, Sri Lanka and others, was effectively dysfunctional. “Iran hasn’t reported the catch of one single yellowfin, ever,” said one. To properly manage stocks, members are obliged to report how many fish and what species the boats they have licensed are catching. “We’re encouraging the member countries to agree with the recommendations of their own science panel,” Jackson told IPS when asked if the ISSF threat of boycotting IOTC tuna was in fact blackmail. Seychelles Minister for Environment, Natural Resources and Transport Joel Morgan said he supported the ISSF actions. “Tuna are not just an important resource for the Indian Ocean, but for the planet in general,” Morgan told IPS at the close of the conference. With climate change reducing agricultural productivity mainly due to decline in water resources, fisheries will become more important. If sustainability of fisheries isn’t addressed, humanity will face a disastrous situation, Morgan said. “The world may become more dependent on fish in future and this is why science and sustainable management of fisheries is a critical issue,” he said. *Stephen Leahy’s attendance at the conference was made possible by travel funding from ISSF. 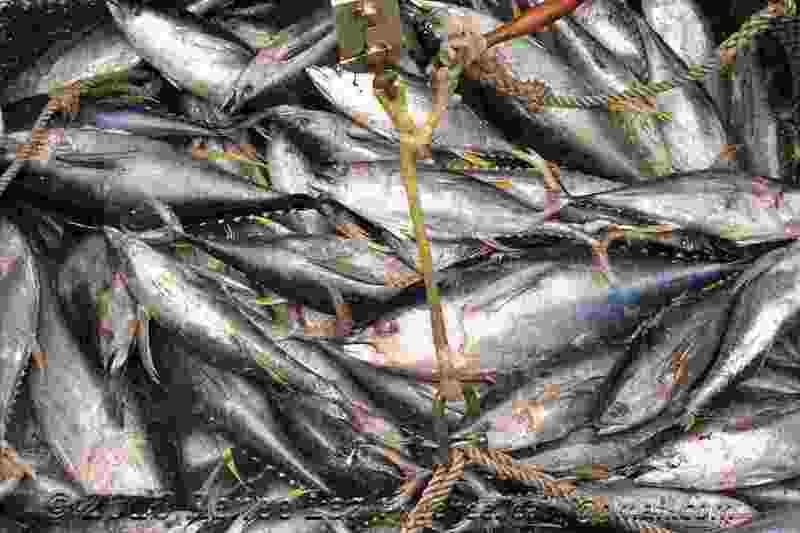 via BIODIVERSITY: Companies Push Hard to Halt Tuna Collapse – IPS ipsnews.net. As it seems an early warning of the world population dying of starvation because of their own deeds! Pacific and Atlantic countries have stupidly depleted their stocks out of greed and gullibility! Now all those who depleted what probably was meant for them by nature are all out to deplete what remains in the Indian Ocean! When they are all gone; where is the problems? No more fish! Science will find its own way perhaps!